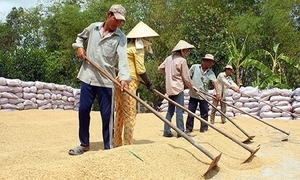 Family-owned companies in Vietnam find it difficult to pass down leadership due to managerial entrenchment and lack of passion. 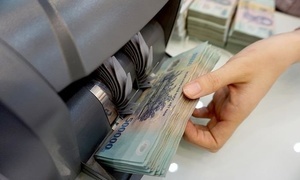 A recent study by Singapore's Business Families Institute revealed that only 30 percent of family businesses in the world made the successful transition to the second generation, 12 percent remained viable into a third, and 3 percent into a fourth or beyond. 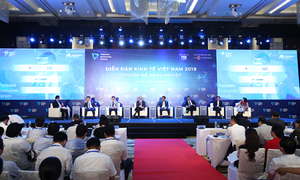 But not so many Vietnamese companies succeeded beyond the second and third generations, experts said at a workshop titled "Developing the next generations - Best practices of international successful business families" and organized by the Vietnam Chamber Of Commerce and Industry (VCCI) and Mentally Fit Global in early April. The workshop gathered young Vietnamese entrepreneurs and foreign experts. VCCI vice president Hoang Quang Phong said developing the next generation is considered the biggest hardship for family businesses. "The initial generation took time and effort to launch a business. 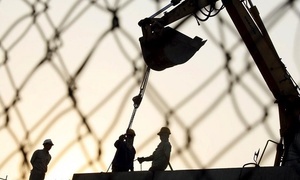 However, the development depends on the generation taking over." 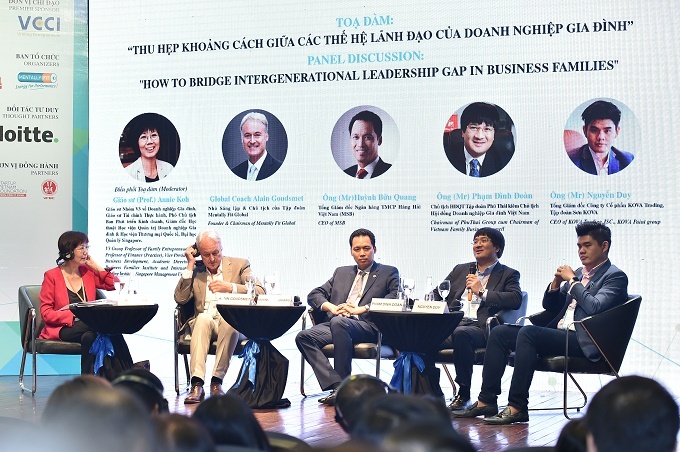 In a panel discussion, experts pointed out the reasons for the failure to transmit leadership in family businesses, including managerial entrenchment, conflicts of interests and the new generation's lack of passion. 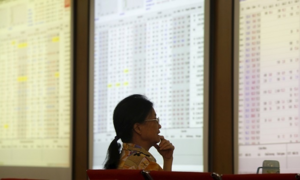 Annie Koh, academic director of Business Families Institute, said research shows that 85 percent of Southeast Asian family businesses expect to hand over their management to the next generation, but are not well prepared for that. 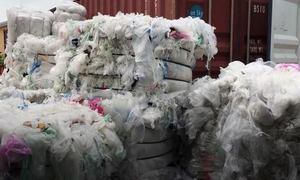 She suggested that preparations should be made 10 to 20 years beforehand. Experts at a panel discussion on "How to bridge intergenerational leadership gap in business families". 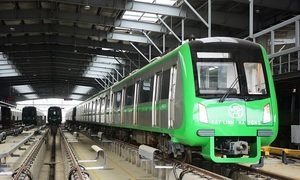 Alain Goudmest, founder and director of Mentally Fit Global, said the Vietnamese culture is characterized by hierarchy and respect for elders. "The next generation needs to be empowered, listened to and motivated." The speakers agreed that the succeeding generations should have a passion for the family business and be trained early to take over successfully. Nguyen Duy, a third generation owner of Kova Trading, spoke about his eight-year experience after starting as a low-level employee to become CEO of the family-owned company. "The experience of working as a low-level employee with a leadership mindset helped me overcome difficulties at work easily." 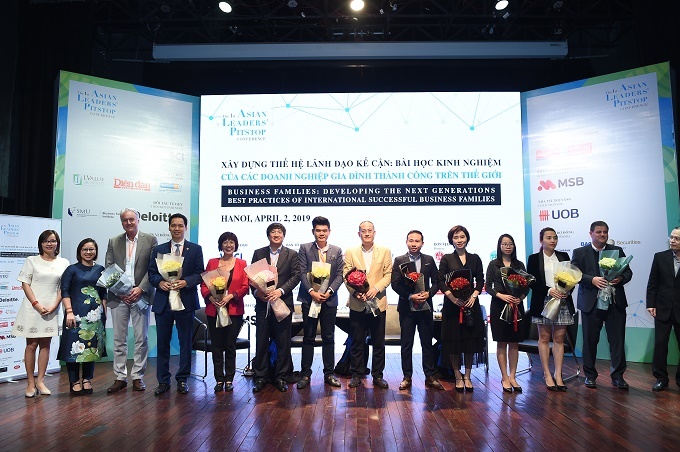 Pham Dinh Doan, chairman of Phu Thai Group and director of the VCCI’s Family Businesses Council, noted that the first generation needs to adopt knowledge, technology and new models in family businesses. He also stressed the importance of their modern management and innovation in developing human resources.